Giving up your time to spruik the benefits of safety to all riders of two wheels takes commitment. 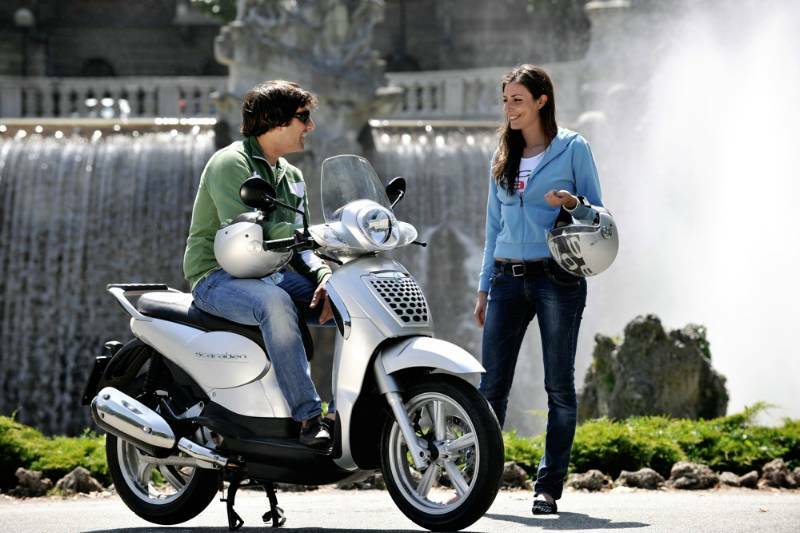 In the mood for a Scooter Rally? The Australian National Scooter Rally is on again with registrations now being taken. Queensland scooterists were passed the torch last year in Bicheno, Tasmania, to host the next Australian National Scooter Rally (ANSR). A job taken with much enthusiasm, especially since this year it’s much closer to home. The ANSR is a non-profit event, organised by scooterists, for scooterists from all over Australia, to celebrate their passion for scooters. 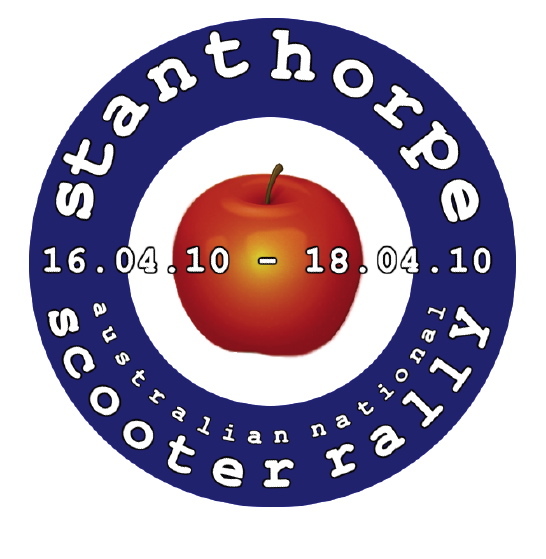 In April, from Friday 16th through to and including Sunday 18th, a weekend of activities with has been planned in Stanthorpe with sponsors providing prizes and awards. Cost of registration is $40. 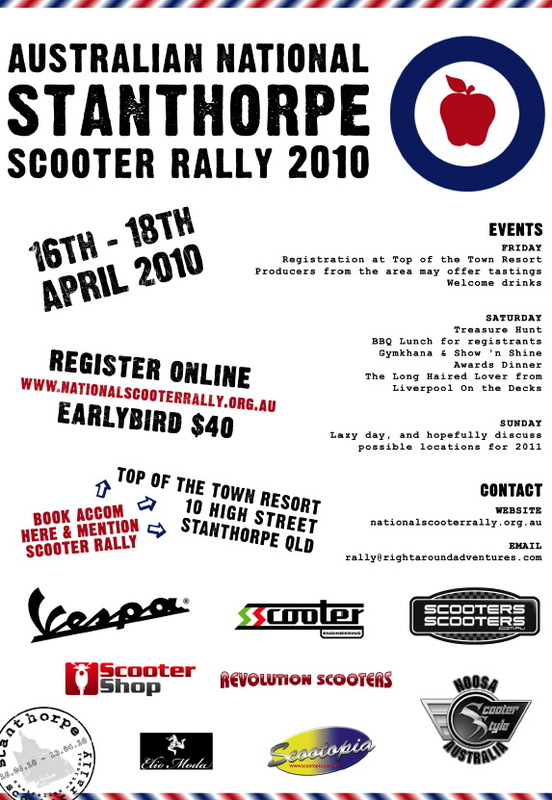 Full details of what registration includes can be found on the official website nationalscooterrally.org.au. Registration can be purchased with a Credit Card or through PayPal online at the official website. For those without a Credit Card or PayPal account, a form can be downloaded from the same website with other payment options. The Top of the Town Resort in Stanthorpe is the main accommodation provider for the event, as well as meeting point for the various activities. It is recommended that participants book early due to the resorts popularity, and mention the ANSR for a special rate. Their website is topoftown.com.au. Mojo Scooter Co release the all new V5, fully automatic cruiser. The Mojo Scooter Co is pleased to announce the release of the highly anticipated V5 – a fully automatic 250cc motorcycle. 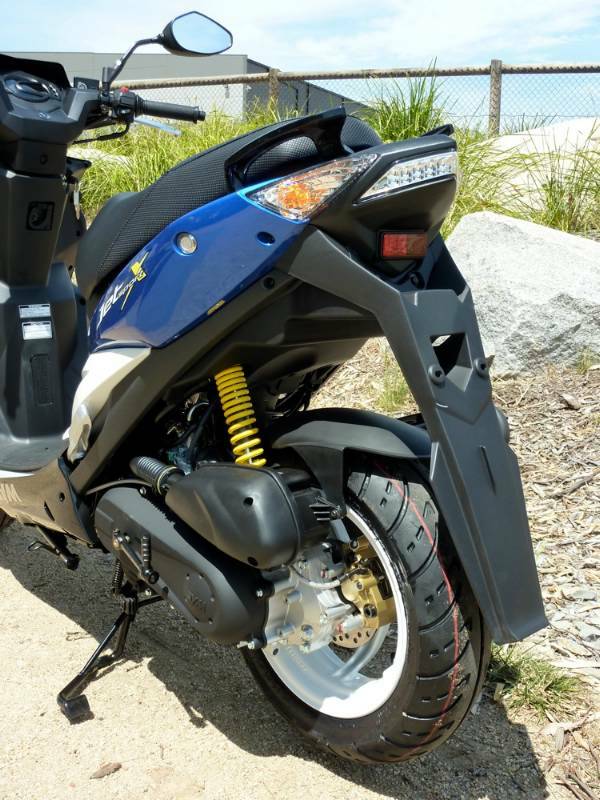 The V5 is completely new for Australia and its unique blend of modern cruiser styling and scooter like operation should make it a winner in the commuter and learner market. ‘The V5 has for many years been a success in both the US and European markets. A fully automatic 250cc motorcycle is a new concept to Australia however we are confident that this model has what is required to make it a success’ states a company spokesman. Manufactured by the CF Moto group, customers can be assured of the high quality standards. The V5 is currently available in black and silver and is set to retail at $3990 plus on road costs. Manhattan revise the price of the 150G to $2990 Ride Away. In a bid to gain a share of the classic scooter market Manhattan Scooters have revised the price of the 150G. $2990 Ride Away is all you will pay at your local Manhattan Dealer. What makes a scooter classic in style is a shape and design that harks back to the scooters of yesteryear. And the shape on the 150G is as classic as they come with plenty of chrome everywhere. 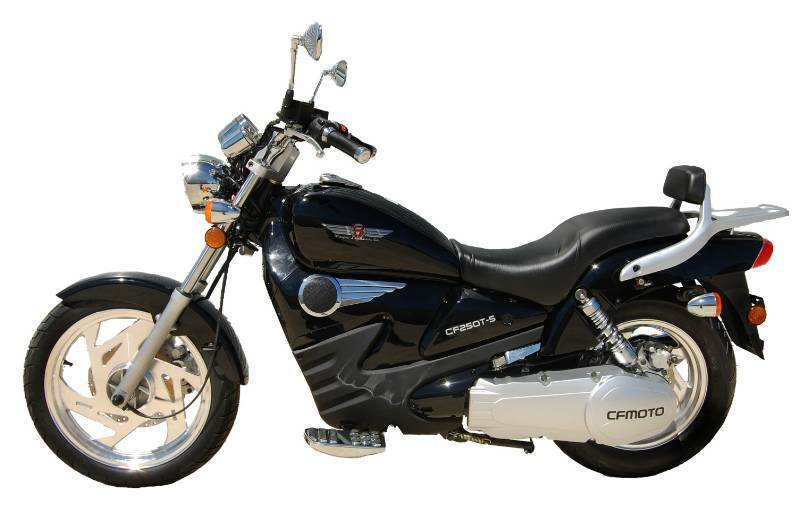 Powered by a 4 stroke 150cc motor the 150G is substantial in size yet easy to maneuver. Twin disc brakes and generous storage do there part to contribute to this substantial package. Flip out foot-pegs and raised seat mean the passenger is not forgotten. The SYM JetSport 50X full of sporting features for only $2690 + ORC. Enter the land of the SYM Super-Sport. Years of experience and a ton of 50 cc variants will help you hone your skills building scooters. So its no surprise that SYM know how to build a 50. Introducing the all new JetSport 50X. After a sporty 50 to cater for your racing desires? 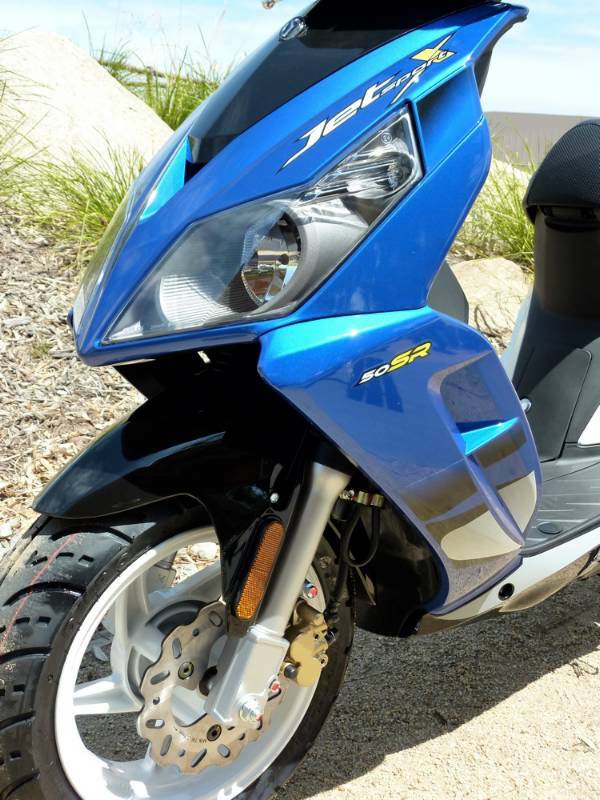 This is not just any 50, the SYM JetSport 50X is an impressive sports machine with all the features you might be looking for. And for $2690 + ORC it sure does pack them in. 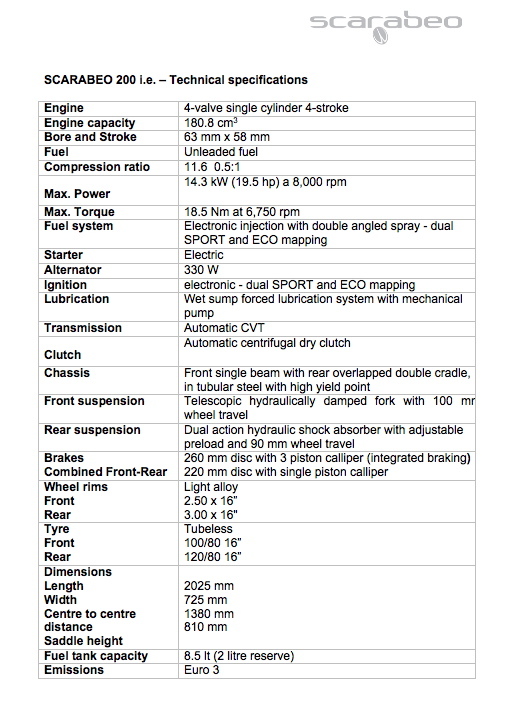 Take a look at the list of specifications below and be impressed by the gallery of pictures. 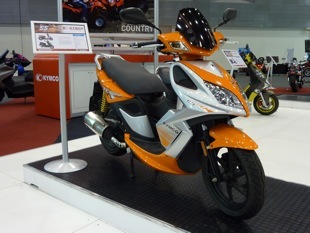 Three new model ranges from Kymco, set to arrive March 2010. 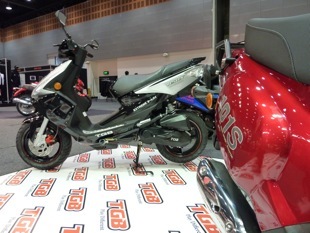 A wrap of the top scooter news direct from the Gold Coast Motorcycle, Scooter and PWC Expo. 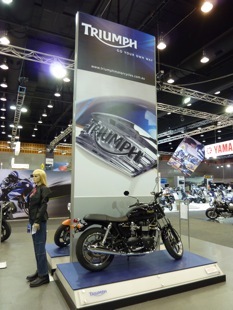 The gold coast motorcycle expo has taken place with a show of strength from an industry that experienced some pretty tough times in 2009. 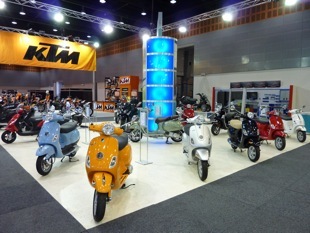 Scooters were prominent with a host of new and exciting models being seen on the gold coast for the first time. Scootersales.com.au was on hand to cover the event conducting a host of interviews and keeping adrift of what was new and fresh for 2010. 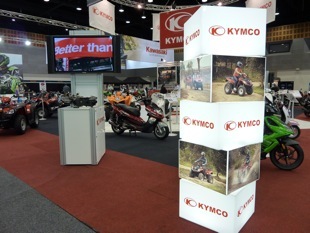 Kymco Australia once again showed why it means business for 2010 and beyond with a major display of strength across its three ever expanding model ranges of scooters, motorcycles and ATV's. With a range of new models about to hit we had the opportunity to take a look at these first hand. 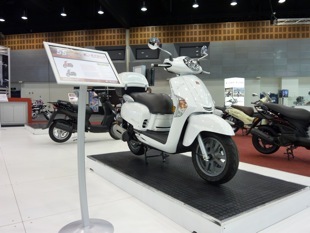 Piaggio consistently shows why its the brand of strength on the Australian scooter market with a full showing of Vespa, Piaggio and Gilera scooters. The shiny new X7 300 EVO was up front and centre along with a host of other models that make up the broad range. Gavan also takes us on a guided tour of what else is new and happening across the three Piaggio brands. We take an in-depth look at that forgotten 50 the Zip 50 2T and also catch up on just why the Fly 125 is Australia's best selling scooter. 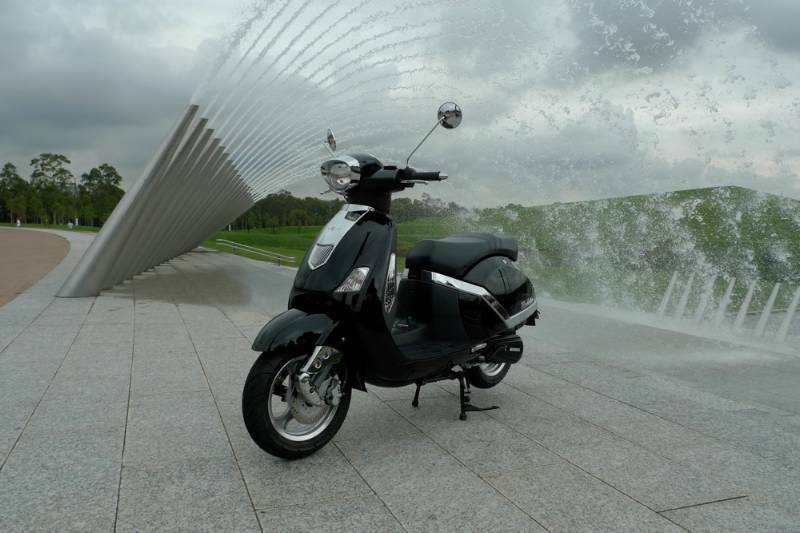 See our interview on the LX Vespa range as these models evolve into a fuel injected masterpiece. And the hard working TGB Delivery. See why its no slouch in this interview. For Sachs it was a case of looking at why the Amici 125 has taken on a life of its own. 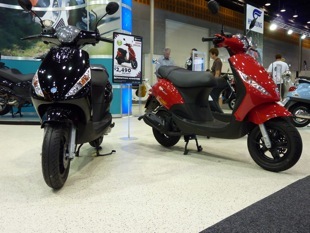 The 2nd largest selling scooter on the market in Australia for January 2010, the Amici is making its presence felt. WHY? Ralph gives us some understanding. 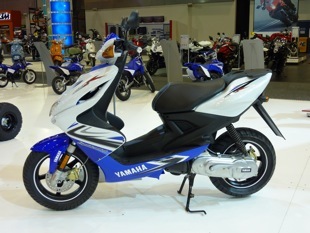 Yamaha became a world of its own, with an amazing array of models spanning from bikes for on road and off, Scooters, ATV's as well as the Jet Ski range. Clearly capitalising on Honda's downgrade in advertising spend Yamaha certainly took full advantage. 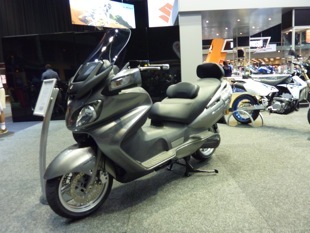 Yamaha had the full range of scooters sold in Australia on display with the most excitement centred around the EC-f Concept. 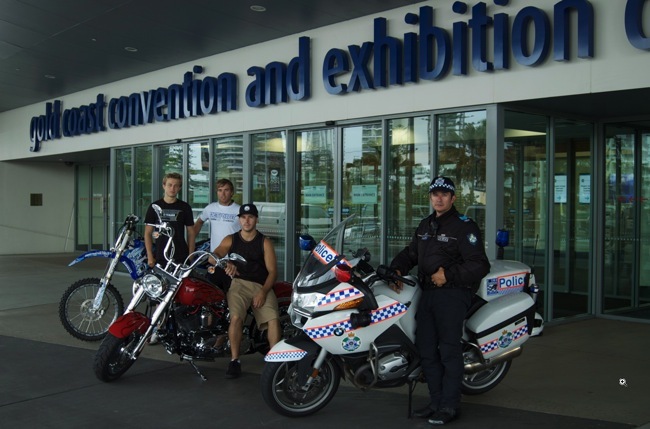 Police-led initiative Bike Safe is just one of a number of safety features that will be be presented to visitors at the Australian Motorcycle Expo Gold Coast which opens this Friday. Sergeant Bradyn Murphy, who runs the course in the local area, joined a number of Australia's leading freestyle motocross riders at the Gold Coast Convention and Exhibition Centre this morning to help spread a vital message. Kain Saul, Matty McFerran and Brad Burch, all in their mid-20's, represent one of the age groups most at risk and lent their own experience and advice to the cause. Sgt Murphy, who has been riding motorcycles for over 38 years, said education and awareness were factors that required the most focus. "I've been performing traffic duty on motorcycles for over 20 years and the senseless death and destruction is incredibly hard to take," he said. "I started Bike Safe on the Gold Coast to help educate riders regardless of age or level of experience. "The program covers issues such as rider attitude, road position, hazard perception, cornering and overtaking. We also cover the basics of braking and use of gears." 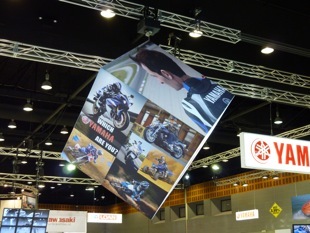 Sgt Murphy said the use of high-profile riders to promote the program at the Australian Motorcycle Expo would add more impact to the message. "These guys have been riding for much of their lives and do it for a living, but they still recognise the importance of responsible riding and remaining aware at all times." Saul said despite his daredevil day job - he recently became the first person in the world to backflip a Harley-Davidson - he would take no chances when it came to safety on the roads. "We work and perform in a close, controlled environment which has been created to be as safe as it can be for riders," said Saul. "On the road it is a different story, there are so many hazards and distractions. Anyone can benefit from participating in the Bike Safe program and either learning new skills or refreshing themselves with the basics." Saul, along with Showtime Yamaha FMX teammates McFerran and Burch, will perform across all three days of the event. 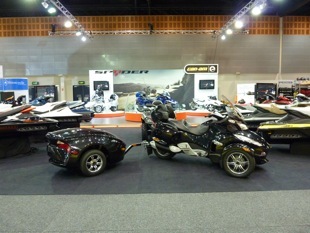 Australian Motorcycle Expo Gold Coast Event Manager Mark Petersen said the exhibition would offer a range of safety features and demonstrations to visitors. "We are pleased to team up with Sergeant Bradyn Murphy and Bike Safe for the event, he will delver a very important message direct to those most affected," said Petersen. "In addition there will be regular on-stage presentations by Survive the Ride with models showing off the latest in safety gear and accessories plus a display by the Gold Coast City Council's SMART rider program." 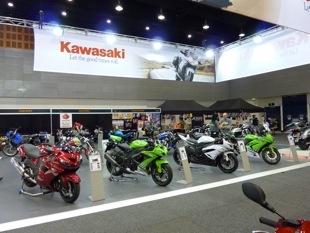 The Australian Motorcycle Expo Gold Coast opens this Friday February 19 and runs through until Sunday February 21. Tickets, available upon entry, start from just $13. 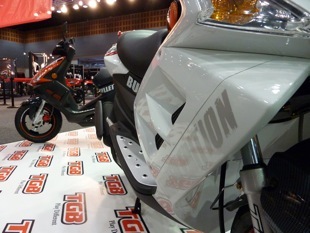 TGB and Sachs scooter specials ready to rock the Gold Coast Motorcycle Expo starting this Friday. 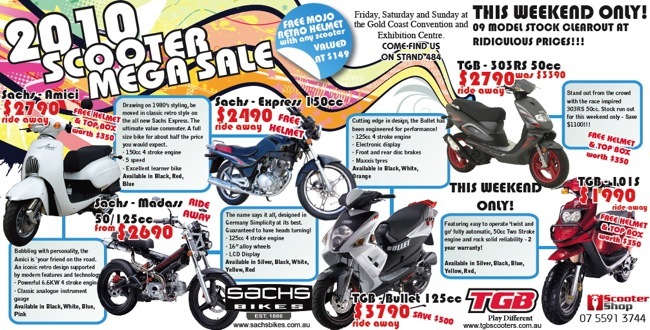 TGB, Sachs Scooters Australia in conjunction with The Scooter Shop, will be at the Gold Coast Expo this weekend ready to serve you up a deal. 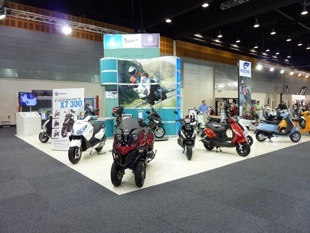 If your in the market for a new scooter then drop in and say "Hi", they are at stand # 484. Buy direct at the show. Receive a "Free Mojo Helmet" with every scooter purchase valued at $149. 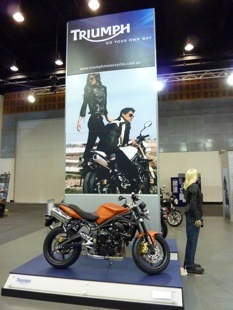 Plus see exciting new models being launched from both Sachs and TGB at the show. 2010 Aprilia Scarabeo 200 i.e. Now here in Australia the all new fuel injected Scarabeo 200 @ just $4990 + ORC. Throughout its history the Scarabeo has always proven to be a unique vehicle, always capable of evolving to adapt to the changing market needs. A market that today prefers practical “small on the outside and big on the inside” vehicles that can better tackle the snares of increasingly congested traffic. The Scarabeo 200 i.e. is the most compact and city-perfect model of the Scarabeo scooter range. This luxury “entry level” vehicle boasts a quality to price ratio that is nothing short of exceptional to say the least. The refined wheel rims are fitted with 16 inch high-profile tubeless tyres, they are a perfect solution for getting round all the traps of the city and contribute to giving the vehicle excellent stability and intuitive riding, within reach of any user, whatever experience you may have. 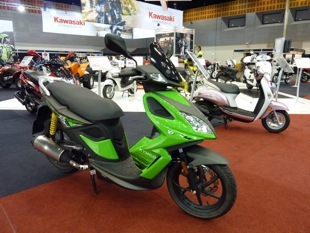 The arrival of electronic fuel injection has brought with it enormous benefits in terms of both performance - further improved in maximum speed, pick-up and acceleration - and consumption by further lowering the fuel demands of this already parsimonious scooter. 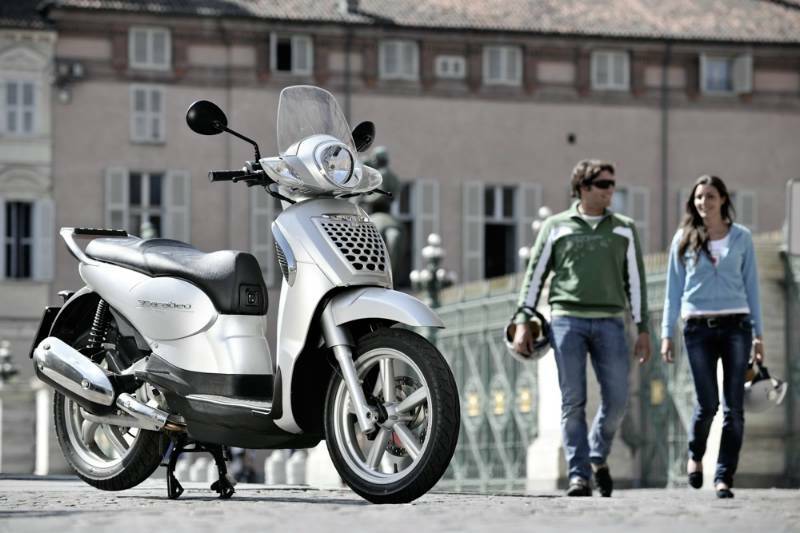 Additionally, and for the first time ever on a scooter, the Scarabeo 200 i.e. also allows the user to choose between two different engine maps. The user can now select between ECO mode, which reduces fuel consumption by up to 7% and SPORT mode, which optimises performance, directly from the handlebar. The 200cc engine delivers an impressive 14.3 kW (19.5 HP) at 8,000 rpm, together with extremely generous torque (18.5 Nm at 6,750 rpm), meaning that the Scarabeo can accelerate enthusiastically but is also relaxing and safe to ride in all conditions. The floor is flat so the load capacity is increased. The windshield is fastened to the steering head and deflects the air flow beyond the rider, guaranteeing turbulence-free travel. The totally complete analogue-digital instrument panel offers an actual on-board computer that can be controlled directly from the handlebar. Standing out amongst the many available options is the outside temperature reading. The stand is designed to provide a very favourable leverage arm, so parking the Scarabeo is child's play. Sharp features combined with soft lines create a continuity that suggests harmony at first glance. Once again the Scarabeo is redefining city scooter design. In a world that today is full of “disposable” products, the reassuring line of the Scarabeo is a fixed point. Filed under: 2010 Aprilia Scarabeo 200 i.e. 15 February 2010 - The Honda VFR1200FA has hit Australian shores, and whilst its V4 heritage may be patently obvious, the reality is that this machine far surpasses anything that has gone before. And knowing that it's a Honda , with all the standard-setting quality and reliability for which the manufacturer is world renowned means this model is sure to set the new benchmark for its class. The VFR1200FA adapts and builds upon the latest race-track bred technologies to create a machine that is many things to many riders. With the key design criteria being mass centralisation, consummate rider control and aerodynamic efficiency, Honda has created a motorcycle true to their reputation, delivering once again on innovation and performance. The harmonic growl of the flexible and responsive V4 motor may rekindle the emotions inspired by previous iconic VFRs, but its unique 'heartbeat' engine feel and an unrivalled level of manageability sets the new VFR apart, not only from its predecessors but also from every bike currently available. The VFR1200FA engine has been designed to provide its rider with high speed, quick acceleration and a strong, engaging feeling. Its linear torque curve is focused in the low and mid range, making it possible for the rider to simply roll on and off the throttle while powering through bends. This effortless control makes for a sports bike with real-world usable power. To allow full enjoyment of the engine's power while still providing a high level of comfort, vibration needed to be carefully managed. A unique cylinder layout was developed for this purpose resulting in a slim, compact 'waist' that effectively lowers the seat height thus making it easier for the rider to place both feet flat on the ground at rest. This gives the rider the feeling of being 'in' the bike rather than perched on top - crucial for feedback and control. The VFR1200FA utilises the UNICAM single overhead camshaft cylinder head design from the world-class CRF motocrossers. Also borrowed from the CRF range and the RC211V is the sealed crankcase system that reduces the pumping loss created through piston movement and air density. This system has never been used on a road machine before but the gains for the rider are identical - electrifying throttle response and improved fuel consumption. To aid control under intense deceleration a slipper clutch is fitted, similar to the system on the CBR1000RR Fireblade. Even under the most excessive downshifting the clutch is designed to slip, thus preventing the rear wheel from inadvertently locking up, allowing the rider to stay firmly in control. The exhaust layout was made as compact as possible, and has been engineered to provide excellent cornering clearance and minimal intrusion to the rider's and pillion's feet. 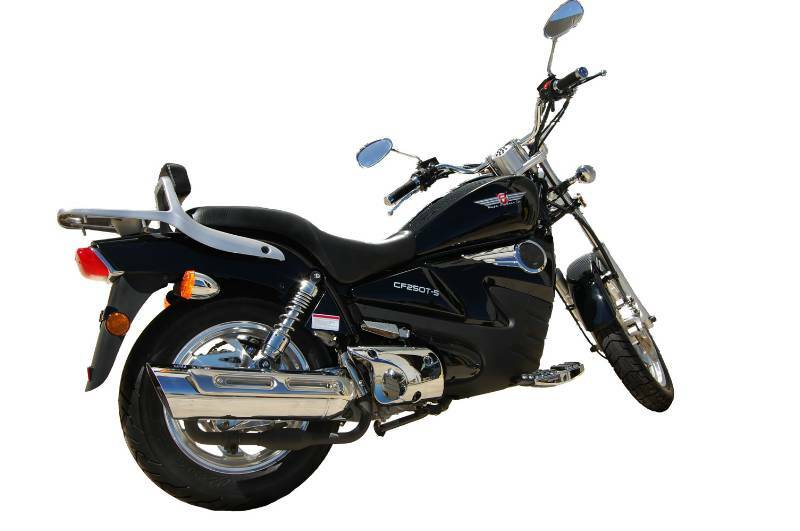 The high-volume, twin outlet high chrome muffler produces an unobtrusive but fantastically stirring note that is authentic Honda V4 and distinguishes this from any other motorcycle. The VFR1200FA is a looker too. The patented layered fairing design is a perfect match of form and function offering a uniquely beautiful shape and, at the same time, optimal air flow and heat management. By effectively increasing the speed of the air by channelling it through smaller apertures before it reaches the radiators, engine cooling is optimised and the hot, exhausted air is channelled away from the rider and passenger for a cooler, more comfortable ride. 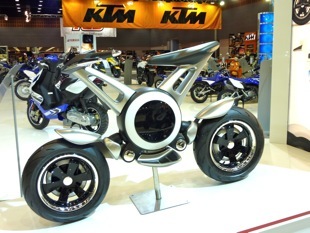 The front of the motorcycle has been given a light, open look while also creating a profile that slices through the wind with the least possible resistance. The cowl and body are fused together, creating one smooth, unified, aerodynamic surface. 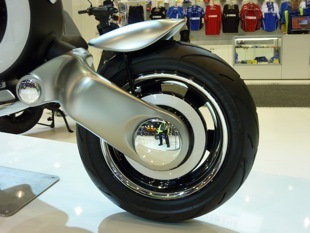 The rear design is compact and tapers upwards, emphasising the bike's lightness and dynamic shape. 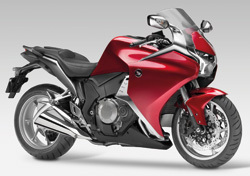 configuration that facilitates both sports bike power and smooth stability. Its strong aluminium twin-spar diamond configuration frame is both lightweight and rigid, whilst the long swingarm contributes to balanced, confident manoeuvring and exceptional high-speed stability. A compliant Pro-Link rear shock absorber with adjustable rebound damping at the back, and sturdy 43mm telescopic forks with adjustable preload at the front provide smooth and assured control. The VFR1200FA is also equipped with the most highly developed brake technology for all-round sports bike use. Powerful new six-piston callipers for the front and two piston callipers for the rear act on large discs, and a Combined Braking System creates the optimal balance of front and rear braking forces. 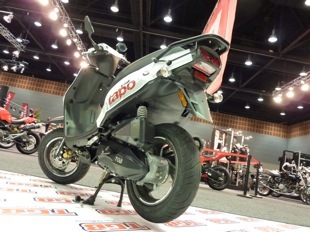 The addition of a standard-fit compact and lightweight ABS supports both the motorcycle's sports riding potential and its touring proficiency. 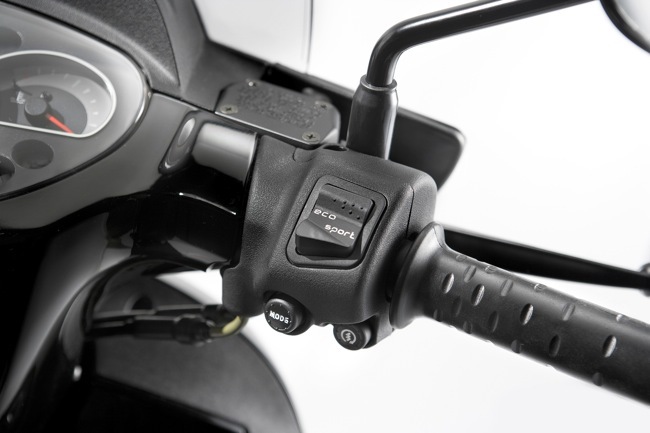 The VFR1200FA is also the first motorcycle to feature state-of the- art ergonomic revisions to the handlebar and switch layout resulting in reversed horn and indicator controls. The indicator switch shape is designed around natural thumb movement for effortless operation. 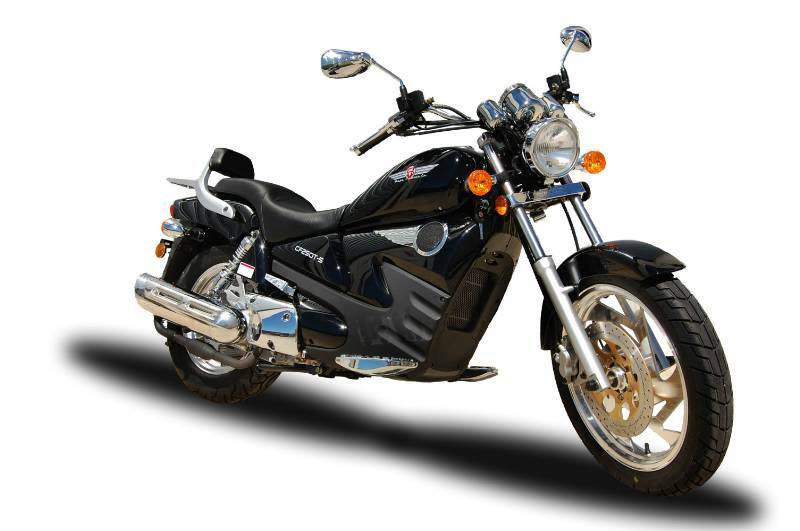 A wide range of optional equipment has been developed by Honda Genuine Accessories specifically for this motorcycle. They include 29-litre pannier kit, sleekly designed 31-litre top box, sporty 3-position adjustable screen that integrates perfectly with the standard windscreen to extend wind protection for taller riders, and 12 DVC Plug. The VFR1200FA is available in Candy Prominence Red and Seal Silver Metallic and is available from Dealers nationally at an MSRP of $24990. For Immediate Release: 15 February 2010. 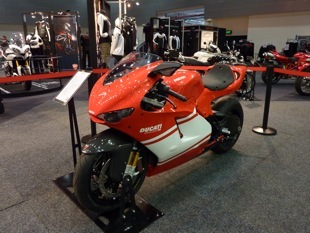 A 10,000sqm showroom stocked with the biggest bike brands will greet visitors as the doors to the Australian Motorcycle Expo Gold Coast open this Friday. Showcasing a complete range of models from major manufacturers, the event provides an opportunity for the experienced or first-time rider to compare features and price with expert assistance readily available. 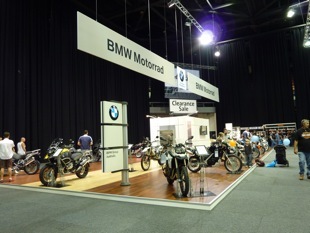 Many manufacturers will offer exclusive specials to show-goers, with a range of on-site finance options available. 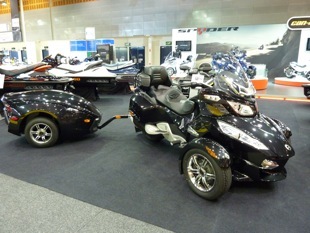 Event Manager Mark Petersen said the Australian Motorcycle Expo Gold Coast looked set to kick-start a solid sales year for the two-wheel and personal watercraft (PWC) industry. 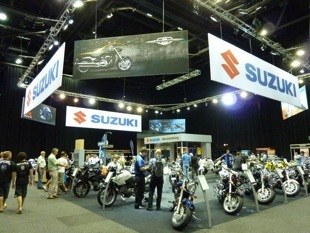 "Manufacturers have come prepared to offer the best prices on a wide range of motorcycles at the event," said Petersen. "This is the biggest and most comprehensive one-stop shop for enthusiasts, providing the chance to compare models, grab a great deal and source finance on the spot. "There will be over 500 new motorcycles, scooters, ATVs (all-terrain vehicles) and PWCs on the floor, ensuring every rider, regardless of age or experience, has something to choose from." Motorcycle brands exhibiting at this event include BMW Motorrad, BRP, Big Bear Choppers, Ducati, Harley-Davidson, Honda, Husaberg, Hyosung, Kawasaki, KTM, Kymco, Mojo Motorcycles, OZ Trikes, Piaggio, Sherco, Suzuki, TGB, Triumph, Vespa, Victory Motorcycles and Yamaha Motor. PWC brands will include Honda, SeaDoo, Kawasaki and Yamaha. The Big Brand Clearance Sale (located on level 2) will make a popular return, with unbeatable bargains on road and off-road riding gear from Fox, Alpinestars, Shift, KBC, RST, O'Neal, RJays, Smith, Kryptonite and many more available. Show-only specials include road jackets from $140 and helmets from $70. "The Big Brand Clearance Sale complements a huge range of exhibitor specials on products and accessories including safety gear, apparel, rider communications, hobby models, magazine subscriptions, training and experience days and much more," continued Petersen. "Our visitors told us they want value for money and our exhibitors have certainly delivered this year." 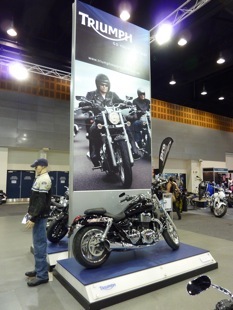 A complete list of exhibitors is available online at www.australianmotorcycleexpo.com.au, along with event attractions and official timetable. 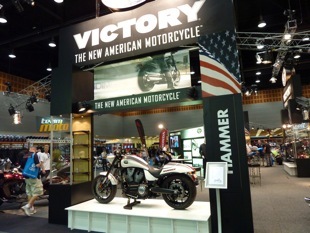 The Australian Motorcycle Expo Gold Coast, held at the Gold Coast Convention and Exhibition Centre, runs from Friday February 19 to Sunday February 21. 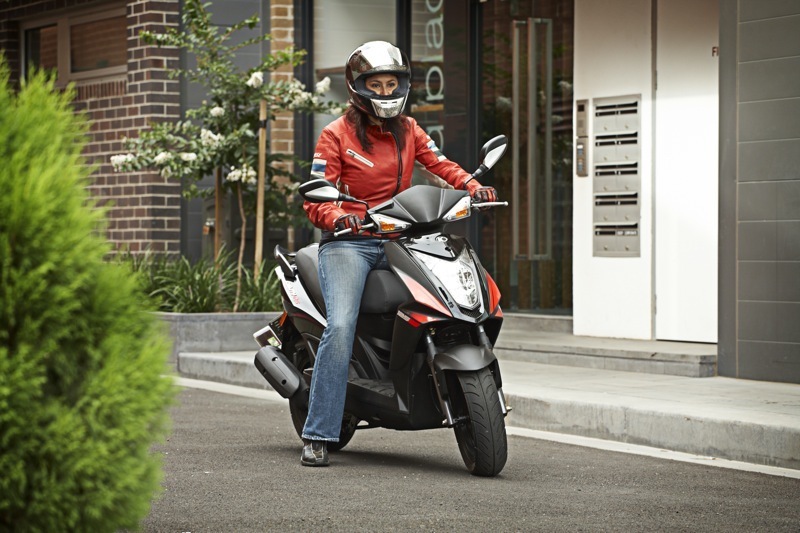 11 February 2010 - Honda Australia's is pleased to announce that the "Rider Assist" program is operating as per normal in 2010 under through a partnership between the manufacturer and International SOS. Rider Assist is a service that exists to help riders 24 hours a day, 365 days a year and offers vital services, as well as advice and help from specialists who are familiar with the technical aspects of Honda's range of motorcycles. Membership holders on roads anywhere across Australia can ride secure in the knowledge that issues such as flat tyres, running out of fuel, lost keys, a flat battery or any other inconvenience can be tended to quickly and efficiently. Services are offered through Gold or Platinum programs and, depending on the level of cover, include breakdown assistance, roadside repairs, transport, accommodation/ car rental, accident coordination, emergency fuel, key replacement, emergency contact, medical/legal advice and much more. Costing just $69 for Gold cover and $119 for Platinum, Honda Rider Assist is exclusive to Honda owners and is one of the most comprehensive covers available on the market today. Anyone who has a current policy in place will continue to have full coverage for the duration of their policy. New customers are also welcome to join. 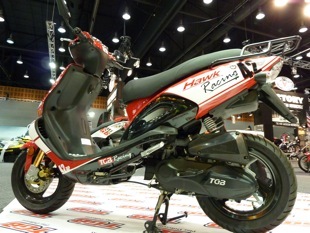 For information, please visit: www.hondamotorcycles.com.au or phone 1800 114 722. 2010 VACC ‘Safe Routes’ Scooter Rally launch. 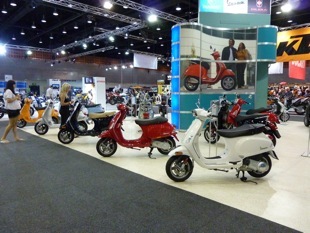 VACC, the peak Automotive Industry body in Victoria, has announced the date of the 2010 ‘Safe Routes’ Scooter Rally. The 5th annual event will be held on Sunday October 10. Riders will meet at Luna Park, St Kilda and at 10.30am begin the ride to Argyle Square, Lygon Street, Carlton. Hundreds of scooter riders took part in the 2009 Rally and VACC is planning a bigger and better event for October. 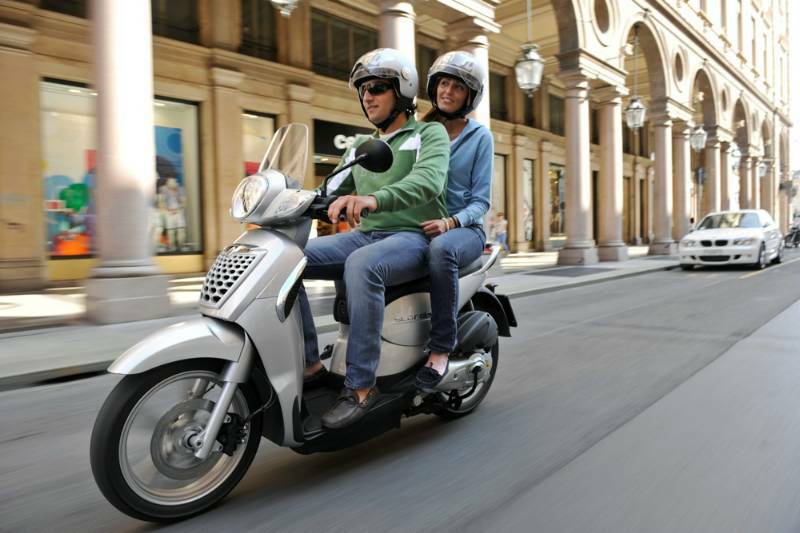 “We are pleased to confirm this year’s VACC ‘Safe Routes’ Scooter Rally will be on October 10. The event has become a fixture for clubs and riders and we look forward to seeing our ‘regulars’ again. But this year, we are expanding the day to include a number of exciting activities in a festival atmosphere which will appeal to non-riders and families,” VACC Executive Director, David Purchase, said. “The ‘Safe Routes’ Scooter Rally is certainly a fun occasion, but there is also a serious side. 2010 is a State and Federal election year and VACC, and scooter riders, will continue to voice concerns to Governments. We are calling for scooterists to be recognised by transport and road safety planners and for them to acknowledge the contribution scooters make to reducing traffic congestion, cutting vehicle emissions and easing competition for parking. “That is why we want safe routes. We do not think scooter riders, who should have equal rights as all other road users, are being treated fairly. They are vulnerable and they need more protection on our roads, through clearly identified ‘safe routes’. This would encourage more people to adopt this environmentally friendly and socially beneficial mode of transport. “VACC, once again, calls on the Victorian Government for the implementation of designated and signed ‘safe routes’, access by low-powered scooters to use certain designated bicycle lanes, filtering in stationery or slow moving traffic; allowing boxed turns at certain busy intersections; six monthly registrations and dedicated scooter training courses. 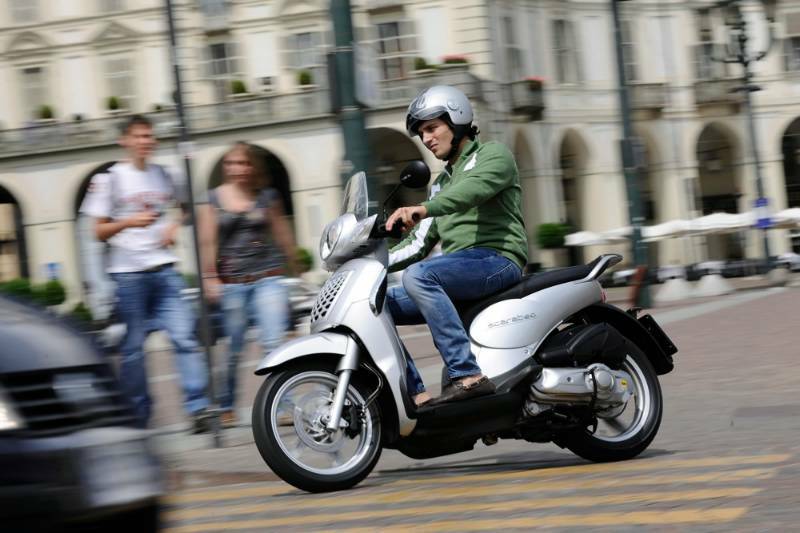 VACC also calls for car licence holders to be permitted to ride 50cc scooters, provided training is undertaken. “But the first thing we want is for scooter riders to put October 10 in their diary and we invite scooter owners of all makes and models to come and join us on our ‘safe routes’ rally. It is going to be a great day out,” Mr Purchase said. Filed under: 2010 VACC ‘Safe Routes’ Scooter Rally launch.